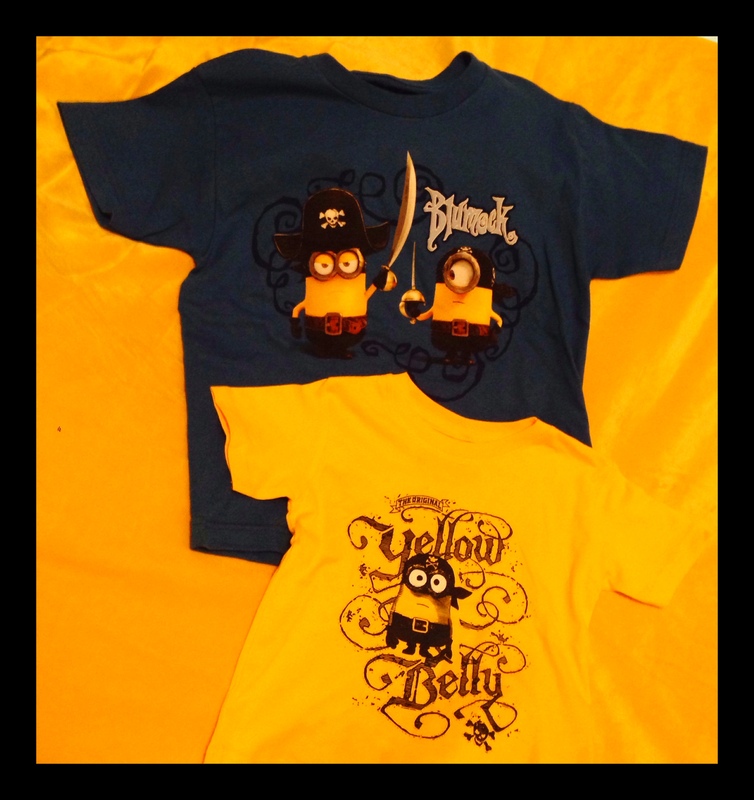 In anticipation of our “Yellow” theme, I took a picture of the Minion t-shirts that I was sending off to my grandsons for “Talk Like a Pirate” day. 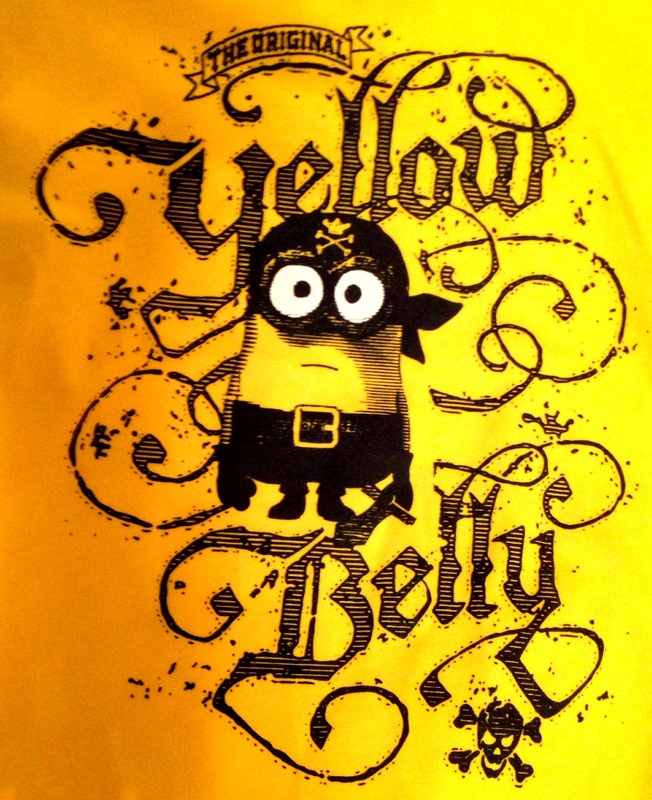 A minion is a follower of a powerful person. In the Minion movies, they seek to serve the most supreme villain that they can find, but over the centuries, their masters always seem to fail. It’s no surprise that the character has been suited up in pirate attire. Pirates are not harmless – but talking like one is. The point of Talk Like A Pirate Day is silliness. You may ask, how did International Talk Like A Pirate Day come to be? Actually two friends, John Baur and Mark Sommers, in Oregon were playing a lively game of racquetball when one of them got hurt and yelled out “Arrr.” They began trading insults and encouragements with “pirate lingo.” One thing led to another and they settled on September 19 as their official Talk Like A Pirate Day. They picked one of their ex’s birthdate so that they would remember the date. It was an inside joke for about 7 years until they shared it with syndicated humor writer David Barry. Barry promoted the idea in his column and growing media attention after that ensured that the holiday has now gone viral and is celebrated internationally. Get into the spirit of International Talk Like A Pirate Day on September 19th and try to slip into conversation some of these typical pirate phrases. Add a growl and lots of gestures. Savvy? – do you catch my drift? Three sheets to the wind – someone who is very drunk. One sheet is mildly drunk and four sheets is passed out. Categories: 52 week photo challenge, holiday | Tags: 52 week photo challenge, David Barry, grandsons, International Talk Like A Pirate Day, John Baur, Mark Sommers, Mark Sommers Racquetball, Minion, Pirate lingo, Pirate phrases, September 19th | Permalink.